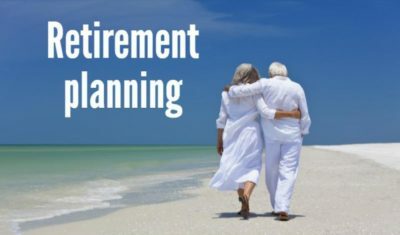 Retirement planning includes a lot more than simply how much you will save and how much you need. It takes into account your complete financial picture. Your Home: For most Americans, their home is the single biggest asset they own. How does that fit into your retirement plan? Estate Plan: Your estate plan addresses what happens to your assets after you die. It should include a will that lays out your plans, but even before that, you should set up a trust or use some other strategy to keep as much of it as possible shielded from estate taxes. Tax Efficiency: Once you reach retirement age and begin taking distributions, taxes become a big problem. Most of your retirement accounts are taxed as ordinary income tax. That means you could pay as much as 39.6% in taxes on any money you take from your traditional 401(k) or IRA. Insurance: A key component to retirement planning is protecting your assets. Age comes with increased medical expenses, and you will have to navigate the often-complicated Medicare system. Many people feel that standard Medicare doesn’t provide adequate coverage, so they look to a Medicare Advantage or Medigap policy to supplement it. There’s also life insurance and long-term-care insurance to consider.